In 1921 one still assumed that for a career in nursing “girls and women from good stock would be preferentially considered” 2. However in practice, the daughters from wealthy families to whom this was addressed were often interested in studying medicine. As nursing offered a good level of social security, it was attractive for girls and young women who were dependent on a regular income. So training became available to the “lower circles” meaning cooks, servant girls, shop women, governesses, Kindergarten teachers and primary school teachers”3. The desired age for entry into training was between 20 and 30 years of age, so that it was required that a certain level of maturity gained through work experience in different fields could be assumed and that willingness to learn was present4. However, as a result of the First World War. there was a disruption to this development. Gustav Feldmann, a Jewish doctor practising in Stuttgart who campaigned time and time again for the “establishment and nurturing organisation of professional Jewish nursing in Germany,”5 wrote in 1924 that “during the War the influx of pupils in all the associations almost completely ran dry; in the first few post-war years he had actually completely stopped working because all the young girls mostly moved into trade and industry”6. In the impoverishment of the middle classes during the economic crisis of the 1920s he, however, also saw the chance that nursing “in a short time would become fully appealing once again”7. 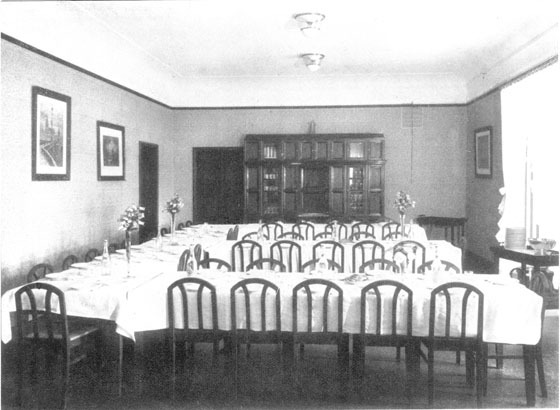 In total, by the end of the 20s, the Jewish associations had trained more than 1,000 nurses, whereby the organisation of training by different associations resulted in “overall a very colourful and inconsistent picture” 8. From the accounts of the nurses themselves, it becomes clear how important wanting to help was for them. Nurse Selma formulates it this way: “Because I lost my mother very early […] a strong need grew in me to give people that which I had missed so much: mother-love and love of human beings. Therefore I chose the profession of nursing.”12 Also Thea Wolf and her sisters who often wanted to move away from the poor quarters of the city, heard from their mother time again: “Children, if we were to move away from here we would forget the poor and one must not do that.”13 Thea was also used to taking along with her own mid-morning snack some sandwiches for her fellow pupils who were needy; when she received new clothes on a religious or public holiday she passed on an older piece of clothing to the poor in return. In order to achieve their aims of becoming a nurse meant that it was necessary for many young women to break with tradition. As Thea Wolf in her youth attended to the Polish refugees, she heard her mother say everyday: “Prepare rather your dowry for your future household.” To escape from this kind of motherly admonition, Thea Wolf, in 1926 aged 19, secretly committed herself as “unpaid help”15 in the “Waisenhaus des Frauenvereins von 1883” (orphanage of the women’s association of 1883)” in Berlin. Thea Wolf commented on the reaction of her relatives to this with the words. “They were all persistently furious over my choice of career. They were of the opinion that I would have to give up a >normal life< that I would lead something like the life of a nun instead of going to a finishing school, to be taught how to be a good woman – and also learn to dance, in order then to get married. 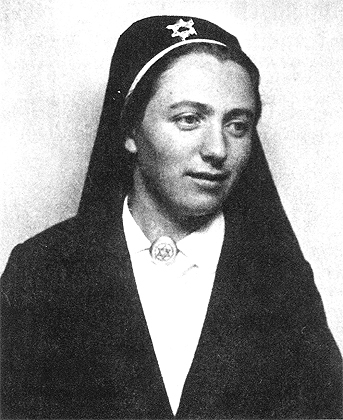 I wanted, however, something else, to go my way, help the poor and sick, as around me there was so much misery that I had experienced close at hand during the First World War.”16 During her time in the Berlin orphanage Thea Wolf came to know the loveless world in which the apathetic children lived. But neither this depressing experience nor the hostile stance of her family could dissuade her from her choice of career and she registered for nursing training. It was the rabbi who was later able to calm her parents down so that, in time, they became „really proud of their >nurse-daughter<„. The aforementioned Gustav Feldmann had already said in 1901: „As a general rule applicants should be single.“17 It was assumed that the professional life of a nurse and marriage were not compatible, in most cases nurses on getting married left the nursing association. In order to keep the job attractive regardless of this, it was described as being excellent preparation for marriage. (Association for Jewish Nurses in Frankfurt am Main) . 4Steppe 1997, S. 262, Steppe zitiert eine Debatte, die in DVJK, Nr. 2, S. 92ff geführt wurde.